Live Nation announced today that Madonna will make a return visit to Manila Wednesday, February 24th, 2016, at the Mall of Asia Arena. The Manila performance is presented by Globe and tickets will go on sale starting Sunday, July 26 at 10:00 AM. The Rebel Heart Tour begins in Montreal on September 9, 2015 and continues throughout North America and UK/Europe before heading to Asia, New Zealand and Australia next year. Icon is Madonna's official fan club and members will receive a special code to access the Icon pre-sale Tuesday, July 21st, at 10 AM. IMPORTANT: All fans who wish to purchase tickets online must create a user account with SM Tickets. 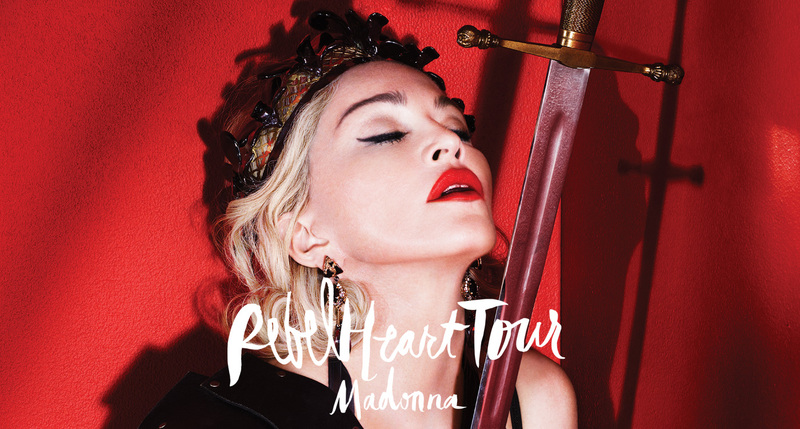 Please visit smtickets.com to create your account so you're ready for Rebel Heart Tour ticket sales! Citi® Cardholders will be eligible for a pre-sale opportunity beginning Wednesday, July 22nd at 10 AM through Thursday, July 23. Globe customers will be eligible for a one day pre-sale Friday, July 24 at 10 AM. Millions fans are waiting for Madonna tour in own countries such Hong Kong , Japan, Taiwan , Korea or China ! Do the queen know about this ?